How Much Does Ipe Wood Cost? 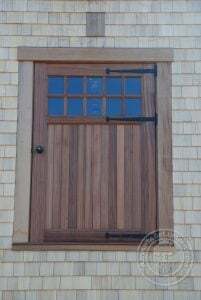 Ipe wood is well known among builders, contractors, architects and even homeowners because its proven to last 70+ years outdoors with no maintenance. Due to the proven longevity of Ipe Wood many professionals specify it for their jobs. As a result this drives up the price. Over the last 10 years we have seen the price of Ipe wood increase over 20 percent. During the same time frame we have other species that have slightly decreased in price such as Cumaru which is very comparable to Ipe. Hardwood decking like Ipe is priced by the linear foot and most deck projects are calculated by the square foot. This makes estimating and pricing the amount of Ipe wood you will need a little challenging. We have linear feet to square feet calculators built into our decking pages that will help you convert linear feet to square feet. 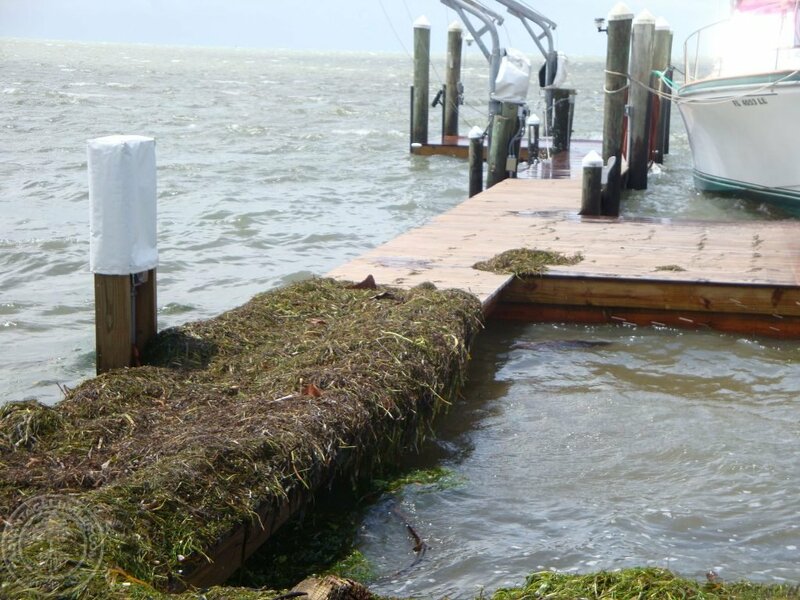 As a general rule of thumb if you are using a 6 inch wide deck board and you have a 500 square foot deck you need a little more than double in linear feet since a 6 inch wide board has a net finished width of 5.5 inches. To be exact you would need 1091 linear feet for a 500 square foot deck if you use 6 inch wide deck boards. 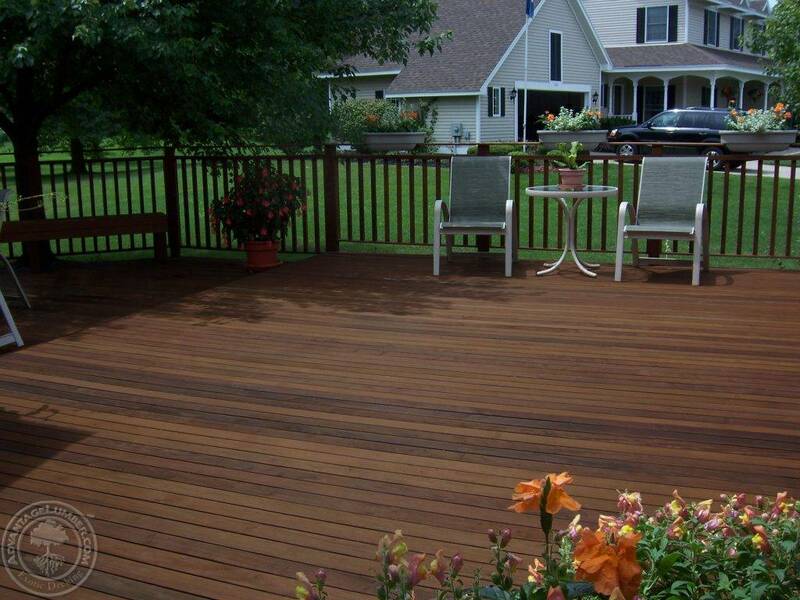 Don’t forget to add in some boards for waste and cuts that you may incur when building your deck. Following this information will help you get an accurate price for an Ipe wood deck. If you find the price of Ipe wood a little higher than you were hoping please contact us. We have other species that are similar to Ipe but cost less. We speculate that in the future the prices of Ipe will continue to rise as they have. 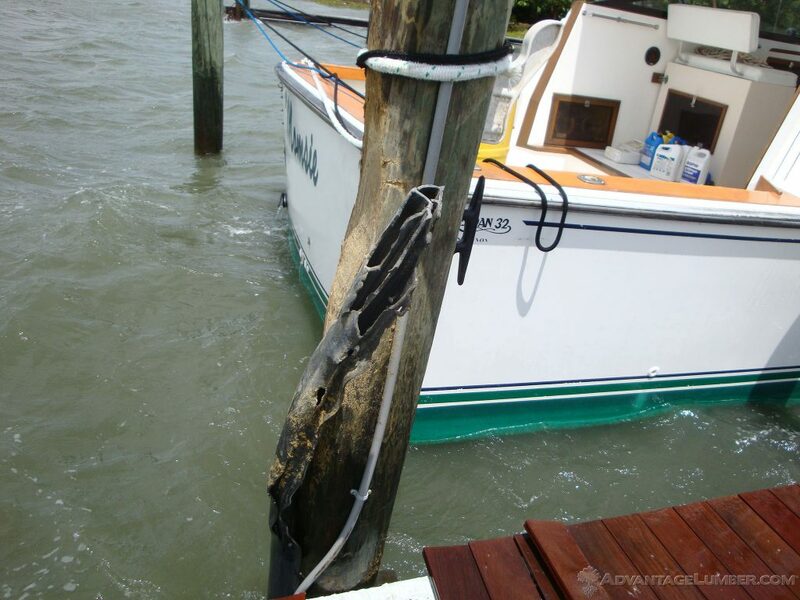 This is one reason we have stocked a steady supply of other species that are nearly identical to Ipe such as Cumaru. This entry was posted in Decking, Ipe Decking, Ipe Decking Prices, Ipe Wood and tagged Ipe decking cost, ipe price on October 4, 2018 by theipeguy. 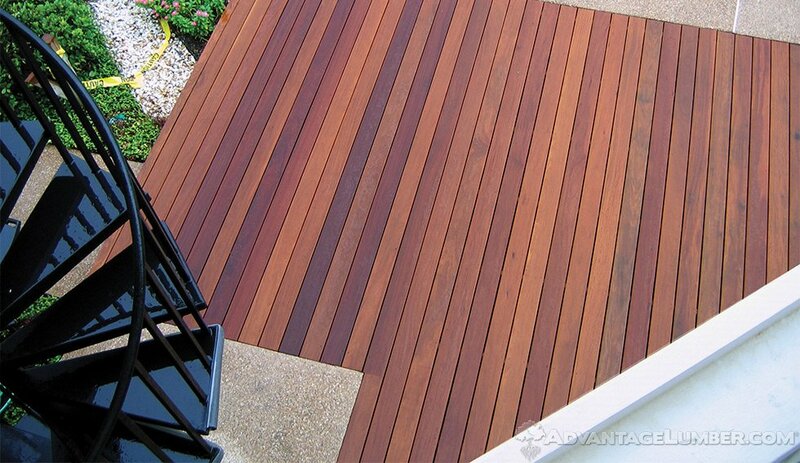 Are you looking to compare Ipe decking vs Cumaru decking? 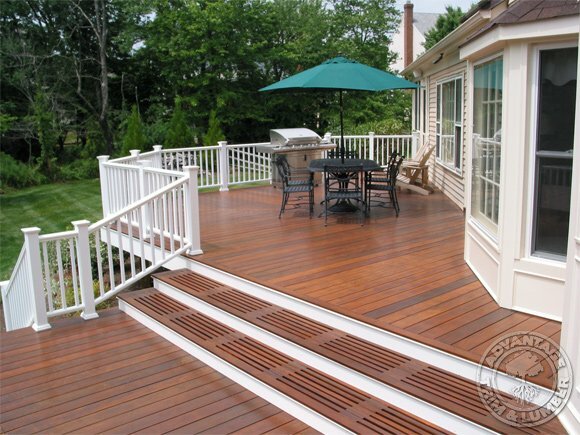 You’ve probably heard a lot of positive feedback about the durability of Ipe wood decking. 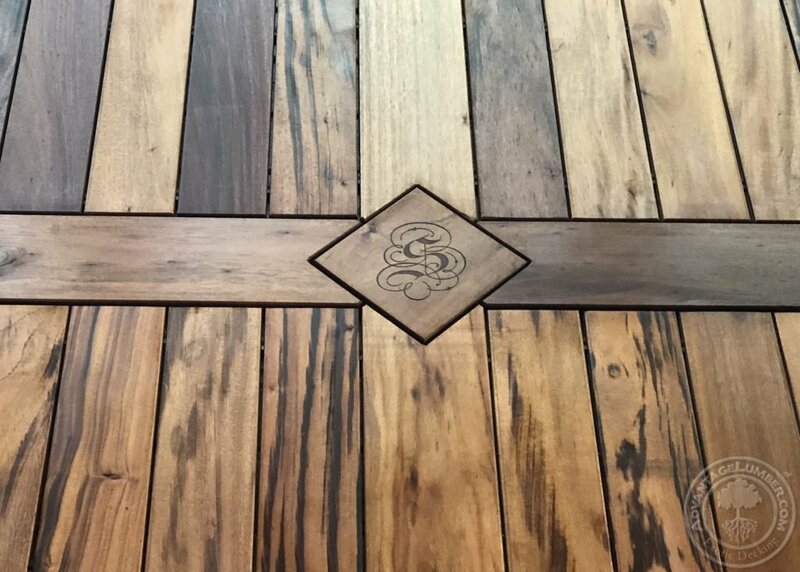 Ipe wood has been used on some very famous projects like the Coney Island boardwalk, the Brooklyn bridge, the boardwalk in front of Treasure Island in Las Vegas and the Famous Disney Boardwalk Resort in Orlando, FL to name just a few. Many of those receive millions of people walking on them each year as well as some very harsh weather and climate conditions. These commercial applications demand the very best durability and longevity from the building products they specify. If a material such as Ipe wood did not last then these establishments would be forced to shut down and rebuild every 15 to 20 years which can cost a busy establishment millions of dollars in lost revenue. Ipe wood has proven to last in the most demanding applications for 70+ years. The proven performance of Ipe wood has driven up the demand which has also lead to a steady increase in price over time as the demand continues to increase. We have seen prices of 5/4 x 6 Ipe Decking increase 22% over the last 10 years. How Does Cumaru Decking Compare to Ipe Wood Decking? Cumaru wood has nearly identical properties as Ipe wood. The janka hardness of Ipe is 3,680 and the janka hardness of Cumaru is 3,540 so Cumaru is almost as hard as Ipe. Cumaru also looks very similar to Ipe. Cumaru will start out looking reddish brown with some boards having more of a yellowish brown color to them. However once the Cumaru is oiled and the UV rays hit the Cumaru for a week or two it will darken up and even out and resemble the look of Ipe more. Here are some pictures of Ipe wood decks and Cumaru wood decks so you can see how similar they look. Whats the Price Difference Between Ipe and Cumaru? While our price for 1×6 Cumaru is $2.15 per linear foot. That makes Cumaru nearly 36% cheaper than Ipe wood. This entry was posted in Brazilian Walnut, Cumaru Decking, Decking, Ipe Decking on October 3, 2018 by theipeguy. Read This Before Installing Cedar Decking on Your House! One of our customers just installed this Tigerwood deck for his clients who previously had a cedar deck. Their cedar deck was installed for a little over 20 years and required constant maintenance with power washing and sealing with a waterproofing sealer. Although cedar has moderate rot resistance it is still a softwood that requires a waterproofing sealer especially on horizontal surfaces like a deck where the water sits on the surface longer. Tigerwood decking and other South American hardwoods offer a much longer lifespan, so the contractor advised the homeowner this would be a better option than going with cedar again. 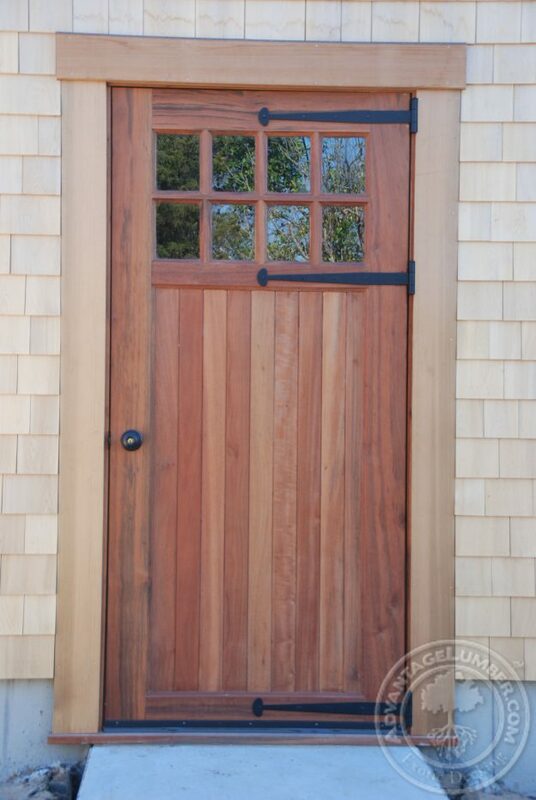 Western red cedar has a janka hardness of 350 lbf opposed to Tigerwood which has a janka hardness of 2,170 lbf. To put it simply the janka test is a measuring system to determine the hardness of wood and the higher the number the harder the wood. The hardness of Tigerwood gives the wood a very tight and dense grain structure which makes the wood very smooth. It also has excellent resistance to rot and decay as well as being highly resistant to wood boring insects. Tigerwood is so hard that wood boring insects can not chew through it. Opposed to cedar on the other hand which has shown to be somewhat prone to wood boring insects. Cedar usually contains knots and a rough surface with slivers due to it being a softwood the grain is more prone to surface imperfections that make it less desirable to walk on barefoot. You can sand cedar to help with this however as time goes on the grain can raise again and slivers and splits can reappear. Clear cedar is available at a premium which does not contain knots and will give you a more desirable surface than common grade cedar. Tigerwood on the other hand offers a very smooth surface free from knots and slivers and is naturally resistant to rot, decay and wood boring insects. In addition the maintenance on Tigerwood is significantly less than cedar. Cedar decks need a waterproofing sealer which will eventually peel off leaving you with sanding or power washing the old coating off. Then you must reapply at least two coats of new sealer to ensure everything is coated. With Tigerwood if you want to maintain the beautiful color you simply oil it with a UV oil meant for hardwoods such as Ipe Oil. This basically keeps the sun from bleaching the color out of the wood and turning it grey. The oil is very easy to apply you can roll it on with a paint roller and wipe up any excess that hasn’t soaked in after 5 minutes. 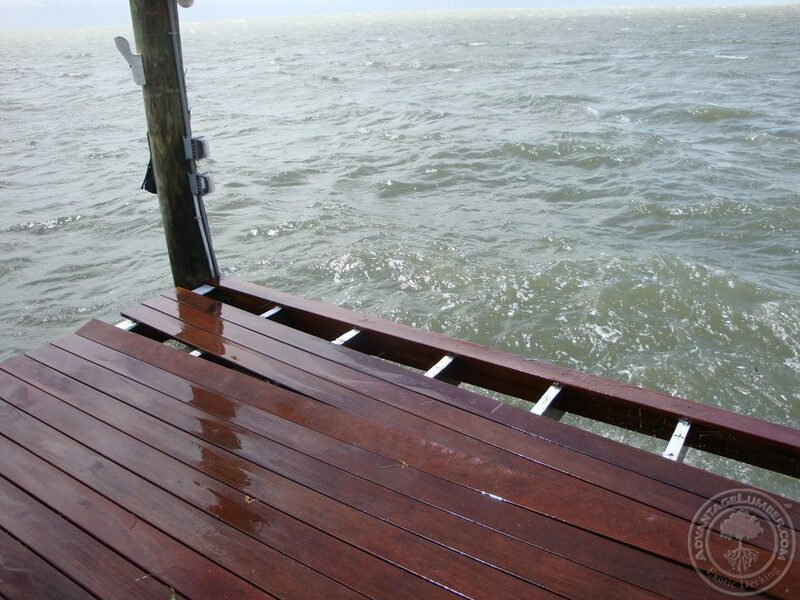 As the color starts to fade make sure your deck is clean and free from debris and reapply. There is no stripping off the old finish or any flaking or peeling to deal with. If you prefer the grey look you don’t have to do anything other than cleaning debris such as leaves off. The contractor surprised his customers with this detail that they absolutely loved. He laser engraved their last initial in the center trim piece of the deck. 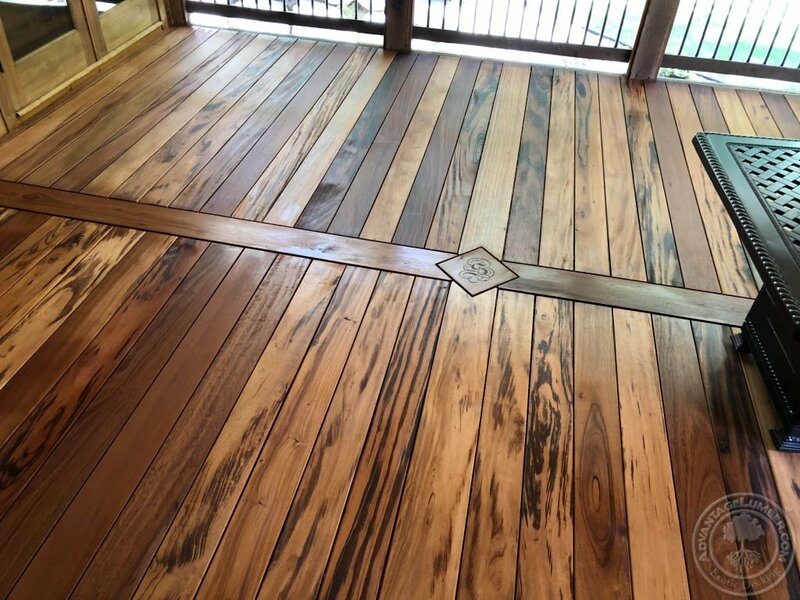 This entry was posted in Decking, Tigerwood on September 28, 2018 by theipeguy. 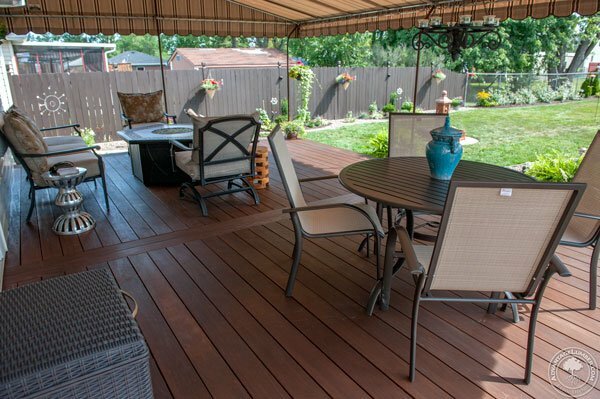 Many homeowners are unaware that some simple changes to your deck design can save you upwards of 30 to 40 percent on your decking materials cost. When building a hardwood deck with Ipe wood or other exotic hardwoods many homeowners want to specify long length decking that will run the full length of their deck. We offer decking in lengths up to 22 feet long and those cost a premium mainly due to supply and demand. As a sustainable lumber company we utilize every piece of a tree that we can and we can only get so many 22 foot boards out of a tree that are free from defect so when cutting slight defects out of these boards we are often left with shorter length boards that we sell for a discount. 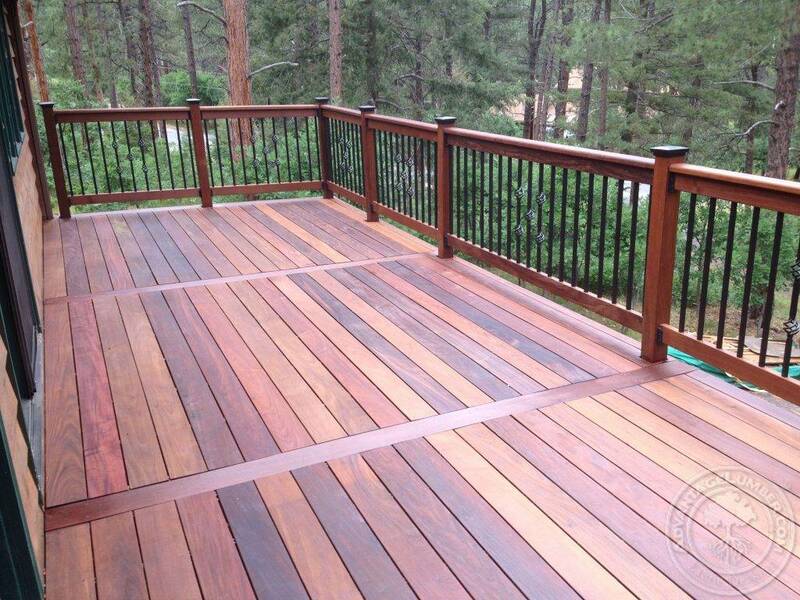 Here is an Ipe wood deck that utilizes a design with shorter deck boards that will save you money. Using shorter length boards will also generally be easier to install since many long length boards have a tendency to bow leaving you or your contractor to try and force them into place using special tools like the Hardwood Wrench which is specifically designed to help straighten long hardwood deck boards that are bowed. Shorter length boards are more stable and less likely to contain any bow to them. Another deck design that can save you money is using narrower deck boards opposed to the most sought after 6 inch wide deck boards. Using 4 inch wide deck boards are generally sold cheaper again mainly due to supply and demand and also yield from milling logs. You can obviously only get so many 6 inch wide deck boards out of a log and since we utilize every part of a log we often have a great amount of 4 inch decking that we sell at a discount. Of course you will need more fasteners with narrower decking however our discounts on narrow deck boards will make up for that added cost. This entry was posted in Brazilian Walnut, Deck Design, Decking, Ipe Decking, Ipe Wood on September 12, 2018 by theipeguy. This is an interesting project from another one of our happy customers. They are so thrilled with the way the Ipe wood compliments their bathroom. Take note of the long Ipe wood boards that trim out the tile edges instead of using standard bull nose like most people do. If they had used bull nose tile to finish off their shower it certainly would not have such a beautiful contrast that the Ipe wood gives. Look closely and you’ll see they extended the tile past the glass door which seals off the shower elements from the wood, this should help their finish they applied remain intact for years to come. The shower floor is simply a standard shower basin to match the jetted tub. They built a custom Ipe wood shower floor platform that sits inside of the shower basin which really gives it a designer look. 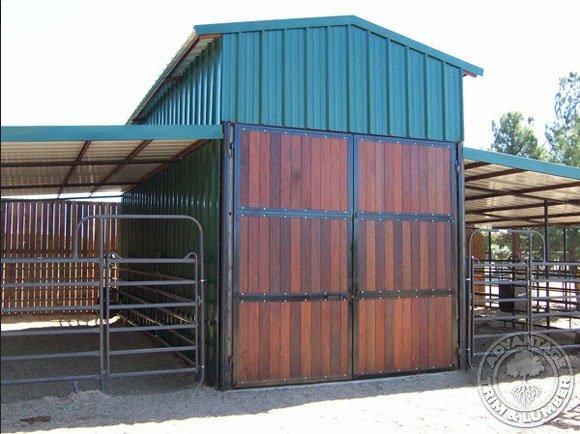 Ipe is a great choice for this application since the wood has proven to last outside in extremely harsh climates for 75+ years. Ipe wood will not give off any slivers in your feet and is naturally slip resistant as well as rot resistant making this wood shower a project that can last a very long time. This design also allows for the wood shower floor to be easily removed for cleaning or in case if something is dropped like jewelry or razor heads to love to pop off when you drop them. 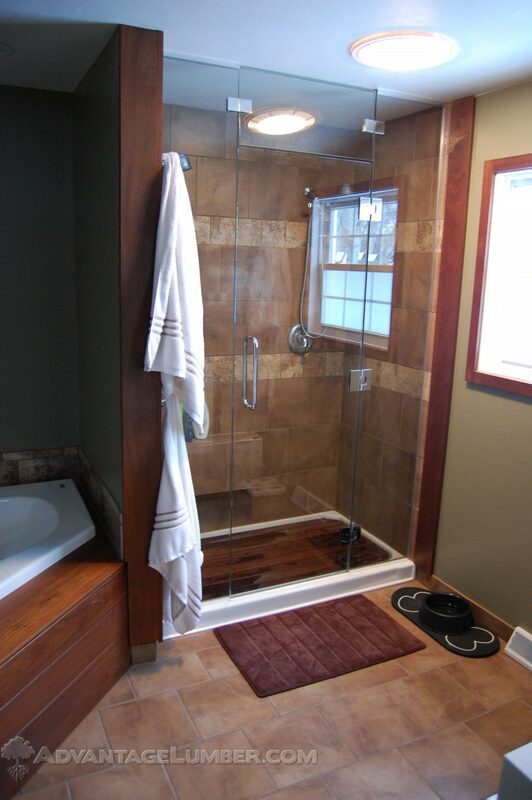 One other feature that many people like with an Ipe wood shower floor is you can build the wood surface so that its completely flat since the shower basin underneath is slopped for proper water drainage. They also wrapped their jetted bathtub with Ipe wood as well as a few wood accents like the trim around their window and vanity mirror. 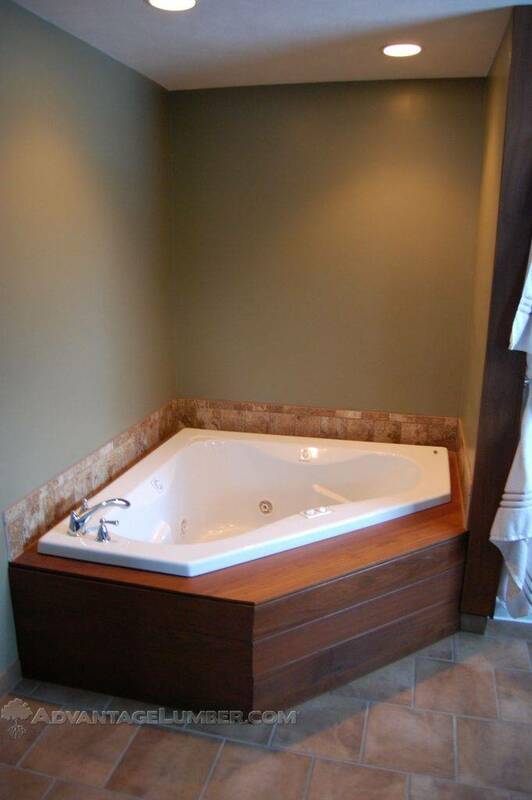 They have received so many compliments from friends and family and they are very pleased with how the Ipe wood accents their jetted tub. The durability of the wood has exceeded their expectations considering it is such a wet environment. This entry was posted in Brazilian Walnut, Do-It-Yourself, How-to Build, Ipe Decking, Ipe Wood on September 11, 2018 by theipeguy.